Credit: Armstrong, Neil. 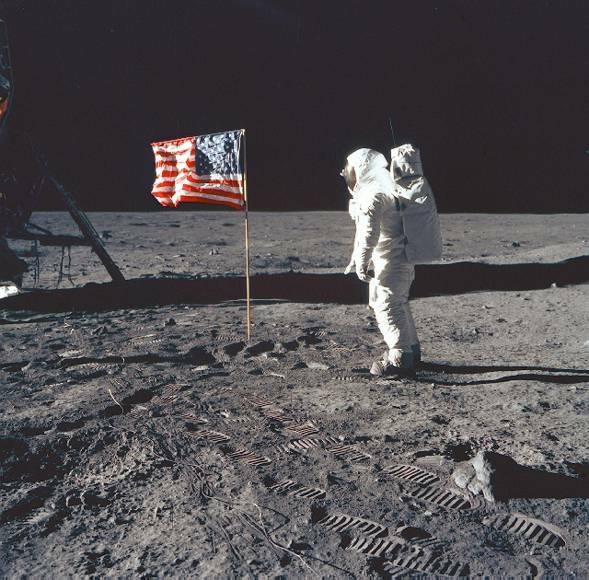 "Astronaut Edwin E. Aldrin, Jr., Lunar Module Pilot of the First Lunar Landing Mission, Poses for a Photograph beside the Deployed United States Flag during an Apollo 11 Extravehicular Activity (EVA) on the Lunar Surface." July 20, 1969 courtesy of National Aeronautics and Space Administration.